Cafe Grumpy has two locations in Brooklyn and one in Manhattan. Their theming and color scheme is genius: a so- -grumpy-he's-cute coffee bean and vivid orange mugs and saucers. In lieu of a sign, the three locations simply have their grumpy bean's face hanging outside. Cafe Grumpy roasts their beans at the Greenpoint location, using a restored vintage Probat. These beans are then brewed and served at their three stores. Like so many other coffee establishments in Brooklyn and Manhattan, Cafe Grumpy is part of a movement known as the Third Wave of Coffee. This current wave focuses on understanding, improving, and respecting coffee on every level--from growth to sourcing to roasting to brewing. Coffee shops like Cafe Grumpy foster direct trade relationships with coffee growers and traders, methodically research roasting methods, and help customers understand the flavor subtlety and growing region of the cup they're about to drink. If you're interested in learning more about the roasting process, Cafe Grumpy encourages you to arrange a time to meet the roaster and watch. 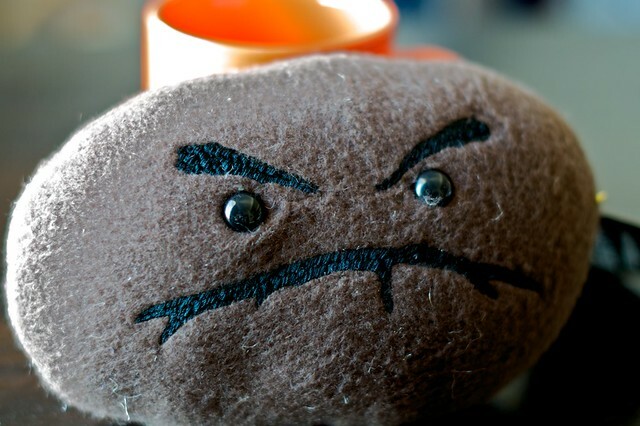 Realizing the draw of their expressive, cranky bean, Cafe Grumpy recently collaborated with a plush artist to bring this bean to 'life'. 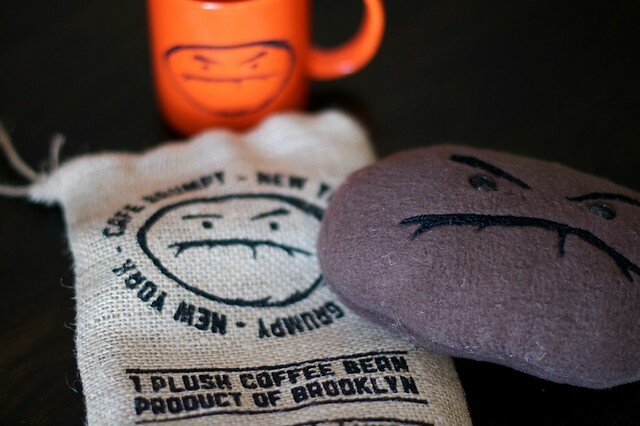 Each plush grumpy coffee bean is handmade and comes in a hand sewn and screened jute bag. 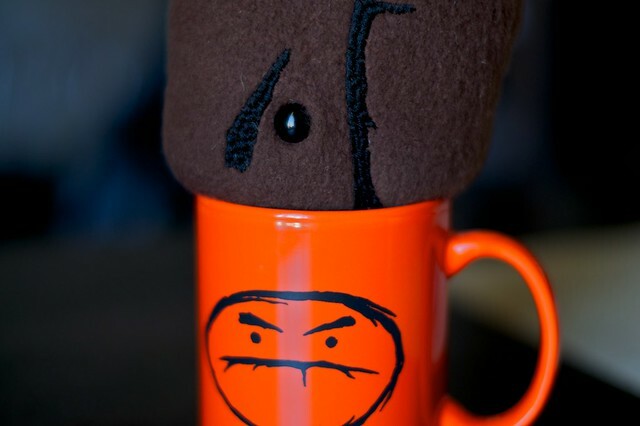 Now when I need some extra motivation in the morning, I can give Mr. Grumpy a quick squeeze, while sipping Cafe Grumpy's coffee. Heart’s Kenya Gichathaini: Besides having a truly fun name to say out loud, the Gichathaini provides the perfect example of a washed East African coffee.